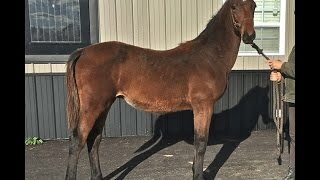 This special colt is a real prospect for the future. He is elastic, balanced, correct, strong, and intelligent. Legendaire H, aka "Lenny," is a wonderful combination of his incredible parents. He is one of the friendliest and most enjoyable babies we have ever had, in addition to his potential in sport for the future. He will be one to enjoy along the way with his engaging and endearing character.